Carnival Cruise Line will be expanding capacity with a wide range of itineraries on Carnival Splendor and Carnival Miracle in 2018. Both ships will expand the cruise lines capacity out of Long Beach, California, and Tampa, Flordia in 2018. Carnival Splendor will also offer unique 14-day Hawaii round-trip cruises. The 3,006 passenger ship will sail year-round 7-day Mexican Riviera cruises from Long Beach. Cruises will begin from January 27, 2018, and will replace the Carnival Miracle. Three different itineraries will be offered on the Carnival Splendor which all include calls in Cabo San Lucas, Mazatlán and Puerto Vallarta. In the Long Beach, the Carnival Splendor will join Carnival Inspiration and Carnival Imagination with upwards of 700,000 guests cruising annually. Carnival Splendor will also offer a 13-day repositioning Panama cruise from Miami, Florida on January 14, 2018. The ship will call at Cartagena, Puntarenas, Costa Rica; Puerto Quetzal, Guatemala; and Cabo San Lucas, Mexico. the voyage will end in Long Beach on January 27, 2018. 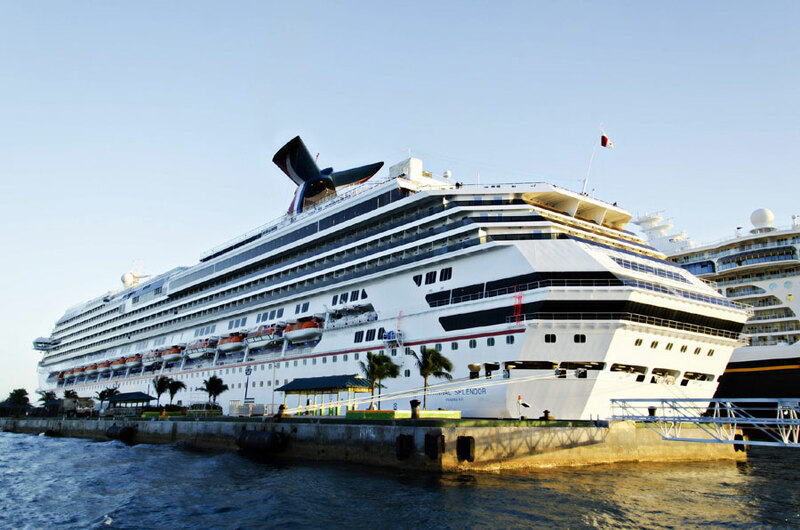 Two 14-day Carnival Journey cruises will be offered for the Carnival Splendor. The ship will sail two round-trip cruises to Hawaii departing Long Beach on October 13 and December 1, 2018. The 2,124 passenger ship will begin sailing year-round 7-day Caribbean cruises from Tampa, Florida on January 27, 2018. The week-long cruises will include calls in George Town, Grand Cayman; Cozumel, Mexico; and Mahogany Bay, Isla Roatan; and Belize City, Belize. Cozumel will also be part of the cruise line’s new “Cozumel Plus” program where guests will have more options on their extended stay in port. Carnival Miracle will be joining Carnival Paradise in Tampa and the two ships will carry 320,000 guests annually. Carnival Miracle will also offer a repositioning Panama sailing which will depart Long Beach, California on January 13. The ship will call at Cabo San Lucas; Puerto Quetzal; Puntarenas; Cartagena, Colombia; and George Town, Grand Cayman. The Spirit class ship will be offering a unique 8-day round-trip itinerary which includes a partial transit of the Panama Canal. The cruise will depart Tampa on April 14, 2018. A special 14-day Carnival Journeys cruise will also be offered by the Carnival Miracle which departs Tampa on December 2. The ship will sail a partial transit of the Panama Canal along with calls at Cozumel, Limon, Cartagena, Aruba, Curacao and Ocho Rios.